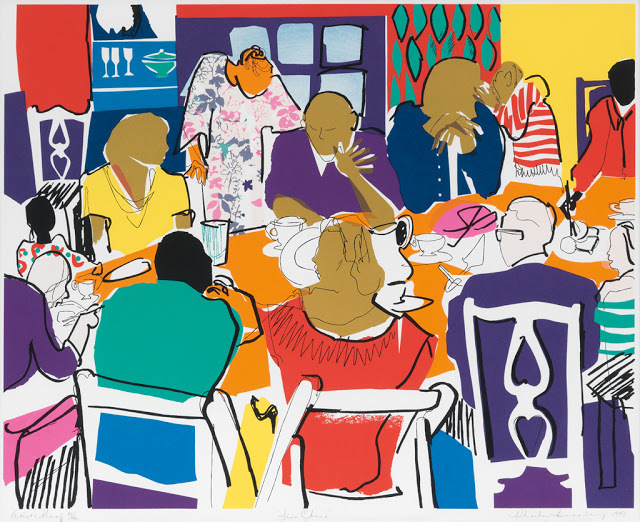 Celebrated artist Phoebe Beasley’s collages, paintings and screenprints play with color, pattern and texture while depicting scenes of family, community and everyday life. 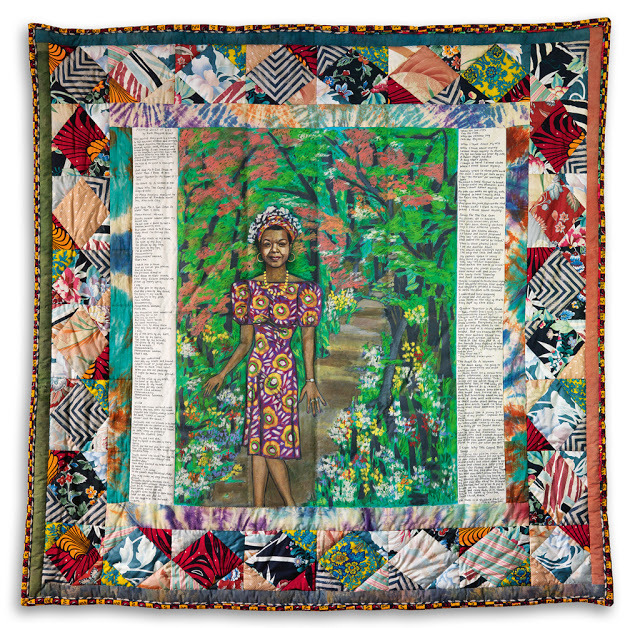 Three of Beasley’s works are included in The Art Collection of Maya Angelou up for auction at Swann Galleries on September 15, 2015. Lot 35. Phoebe Beasley, Play it Pretty for the People, mixed media collage, 1994. Estimate $3,000 to $5,000. 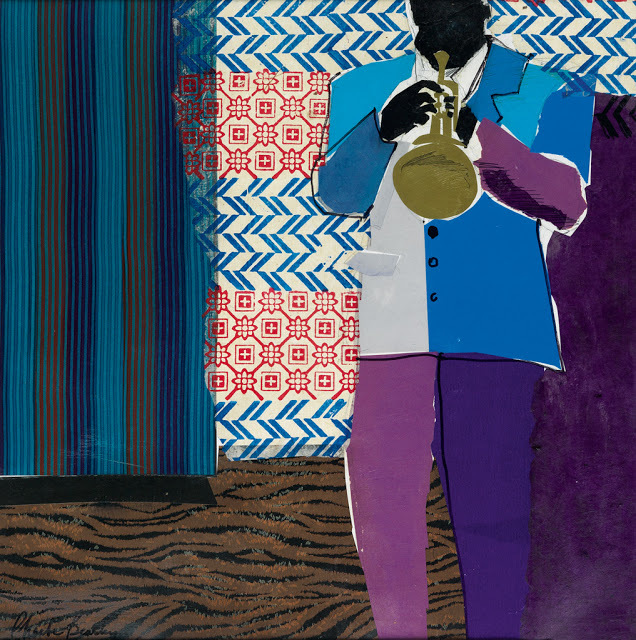 Beasley’s work has garnered appreciation from a wide variety of audiences, including grabbing the attention of three U.S. presidents, George H.W. Bush, Bill Clinton and Barack Obama. 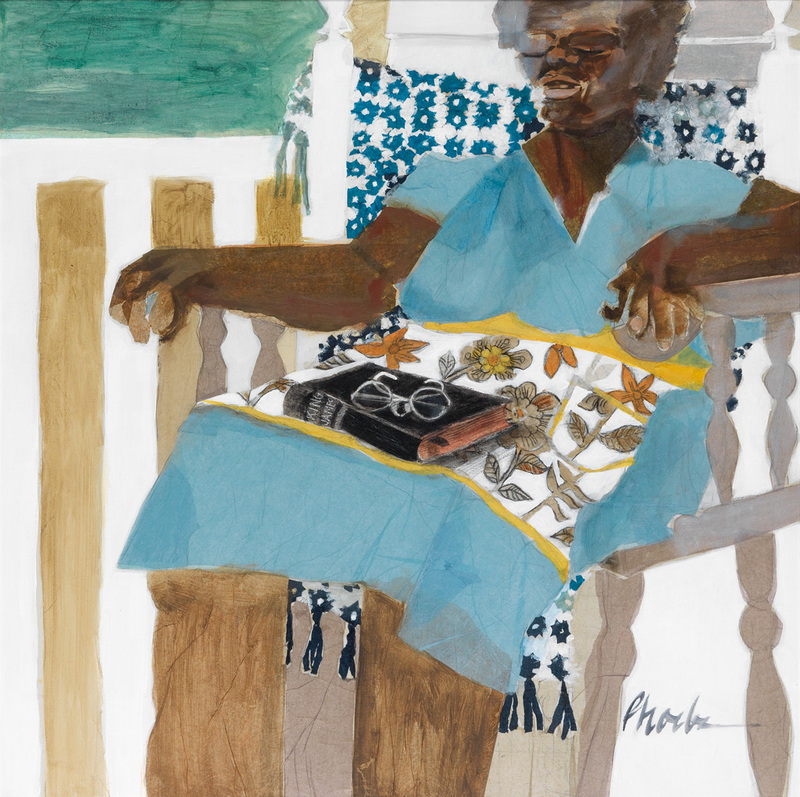 Her work has twice been awarded the Presidential Seal, making her the only artist to twice receive that honor. Lot 34: Phoebe Beasley, Fine China, color screenprint, 1993. Estimate $1,000 to $1,500. Lot 15: Phoebe Beasley, Catnap, mixed media collage, 1980. Estimate $4,000 to $6,000.